Kate Rafter is a high-flying war reporter. She's the strong one. The one who escaped their father. Her younger sister Sally didn't. Instead, she drinks. But when their mother dies, Kate is forced to return to the old family home. And on her very first night she is woken by a scream. What secret is lurking in her mother's garden? And what if the real danger is where you least expect it? I started My Sister's Bones one lazy Sunday afternoon and could not go to sleep that same night until I had finished it. 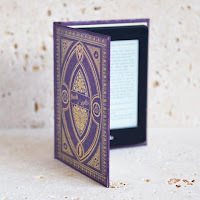 The book was glued to my hand from start to finish and, although I might have had suspicions about certain people, I certainly wasn't expecting the story to take the direction that it did. Kate is a war reporter who was on assignment in Syria when her mother died. She didn't make it home for the funeral, leaving her sister Sally to make the arrangements with the help of her husband, Paul. When Kate returns home, she finds Sally drinking herself into oblivion leaving Paul at the end of his tether. Sally has an awful lot to cope with so I can understand her turning to alcohol to numb her pain. Sally was a teenage mum, giving birth to her daughter, Hannah, but after a drunken argument, Hannah left home at 16 never to be seen again. Kate moves into her family home and it becomes clear quite quickly that she is suffering from PTSD. She has flashbacks and nightmares of her time in Syria, so when she hears a young boy crying in the night she is determined to rescue him. Kate tackles her neighbour, Fida, about the boy but Fida claims that there aren't any children living in the house. Then Kate spots a young boy in her garden during the night and follows him into next door's shed only for him to disappear. With insights into the cause of her PTSD, the reader is naturally drawn to the conclusion that Kate is hallucinating. But is she? When one day she wakes up with blood on her hands and no memory of how it got there, I really didn't know what to believe. 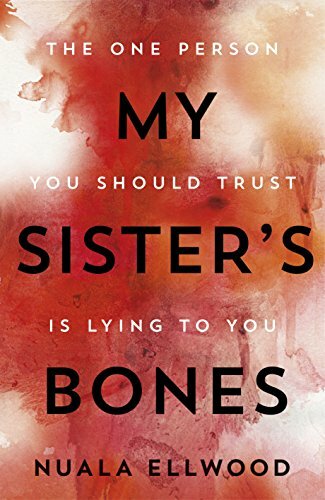 Absolutely impossible to put down, My Sister's Bones will have you questioning every single sentence that you read. It is an exceptional debut and an impressive psychological thriller that really gets inside your head, making it impossible to tell fact from fiction. There are a multitude of threads to follow and untangle and I felt like I had held my breath until the very last page was turned. I could write so much more about this book but writing any more than I've written would spoil some of the surprises. I have no doubt that My Sister's Bones is going to be a massive hit when it is released in 2017. Make sure you look out for it as you really don't want to miss this one! I received this book from the publisher, Viking, in exchange for an honest review.